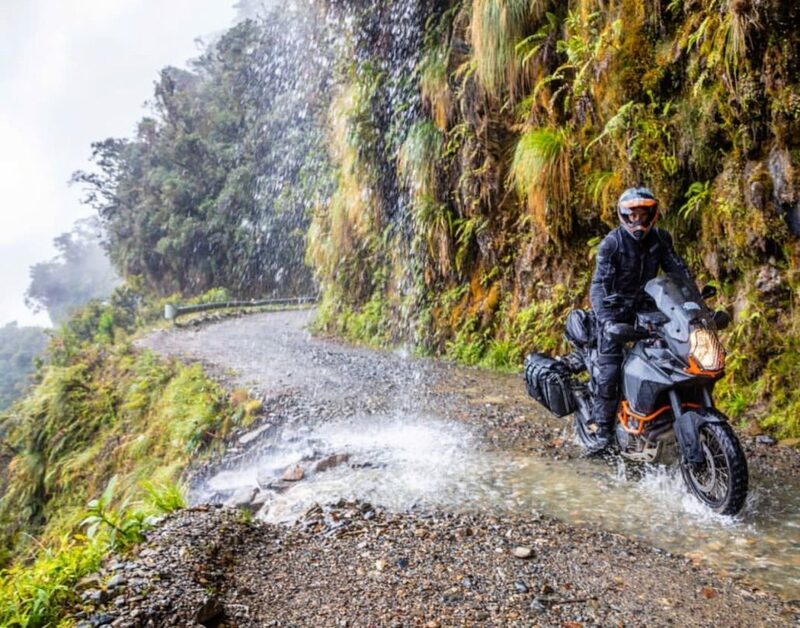 When it comes to adventure rides there are many different levels of achievement. 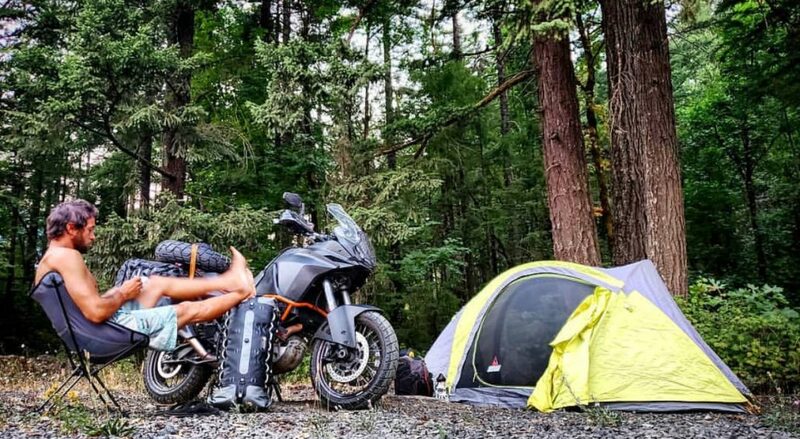 The overnight enduro ride, the week long ride to picturesque places, the “I quit my job to ride for a few months” type, and then there are the few who make it a lifestyle. Paolo is one of the latter types. 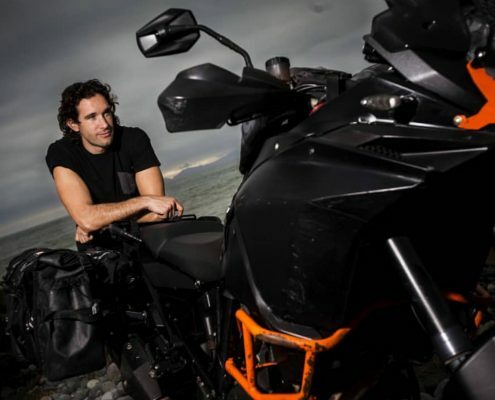 Born in Italy and a computer engineer by trade, Paolo caught the motorcycle bug as a young man as started his current trip round the world trip in 2015. 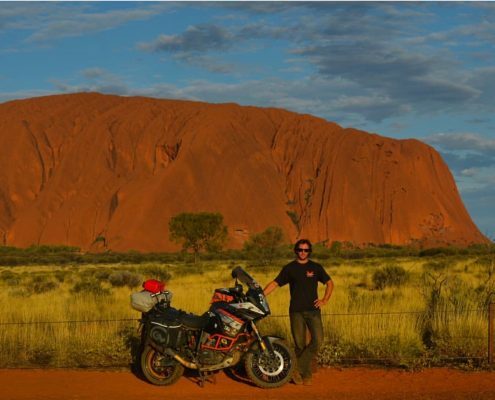 Beginning with a ride around Australia and then flying with his bike to South America to continue north. I highly recommend following Paolo’s social media accounts if you aren’t already. He runs a website called Wozuup.com and it will give you a great history of his travels and gear choices. You can stay up to date with his travels by following his Facebook or Instagram accounts. Or finally, by watching his travel videos on his YouTube channel. Paolo is a terrific reminder that there is a huge world out there that ultimately can only really be experienced by going places and taking them in for yourself. His trip thus far has been fantastic. Both inspirational and educational. Sincerely, I haven’t been really working full time since 2015 so, I may have to skip this one up. I’m a Computer Engineer though, and a Thai boxing instructor. I’m also a Lifeguard in Australia. This is exciting for me. I always get excited when I get to describe my motorcycle. I’m so proud of her, like a girlfriend. It’s a she. 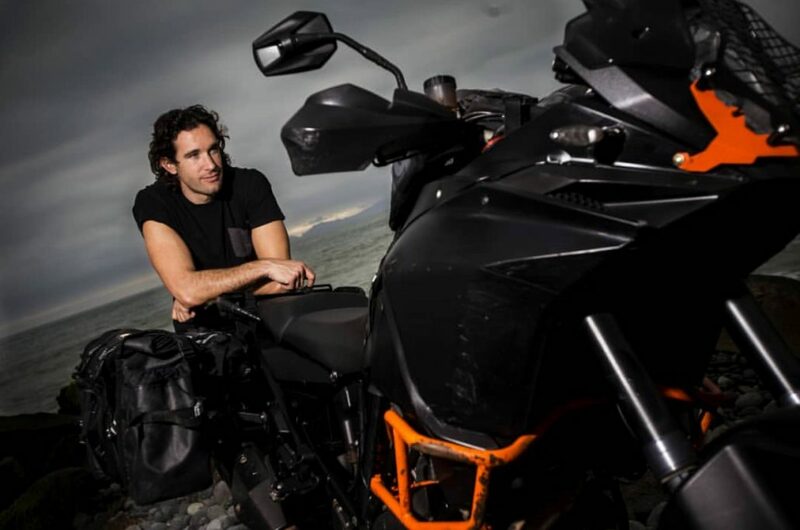 She is a 2013 KTM 1190 adventure and I call her Bronte. Bronte is the name of the little beautiful town I lived in Sydney, but it’s also a famous town in the south of Italy (the country I’m originally from) and a woman name, commonly used in Great Britain. In ancient Greek, Bronte means “the sound of thunder”. Hence, Bronte. I got her in late 2014, right before I started my loop of Australia. I bought it from a lady. She bought it initially because her life dream was to ride a motorcycle; one day she got diagnosed with brain cancer, got surgery, got out from the hospital, went straight to the shop and bought herself a motorcycle. After 7 months she decided to sell it, because she was satisfied with the accomplishment of her dream. She didn’t have a driver license so she just rode it as pillion. So, during Bronte’s first 7 months, she had 700km on the odometer. Then i bought it and 7 months later, she had 37000km on it. Life is ironic, even for motorcycles. Never really considered anything else. I tried it and fell in love with it. It’s my perfect bike/machine. I changed muffler, added bash plate, Headlight, radiator and hand guards, these last ones by Barkbusters. It’s the freedom. And the ease of carrying just few items with me. My whole life is on my motorcycle. My life is my motorcycle. What I am, what I do, what I own…., right now, is all in front of you. It’s a beautiful feeling to have nothing to hide and almost nothing to lose. Not being able to take care of my body with a proper diet and exercise; it’s hard to carry food, tools, leave your belonging unattended, cope with whatever happens in the moment and take care of yourself. Travelling on a motorcycle is a healing method for your mind…but the body pays the toll, in the long run, if you don’t act accordingly. Hard to say. 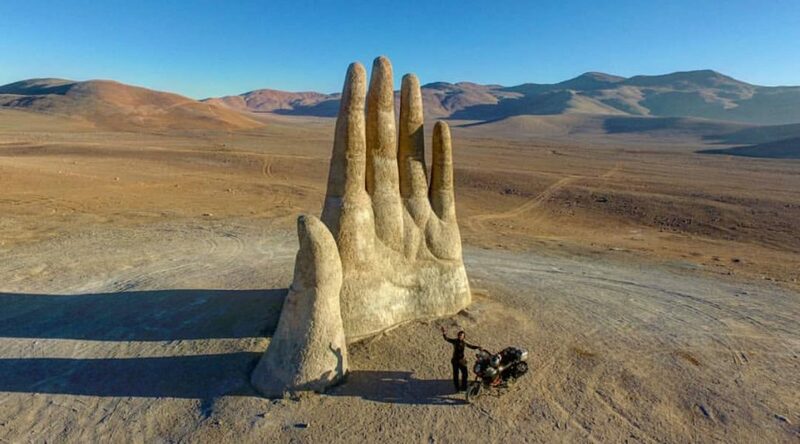 Probably, the Salar de Uyuni in Bolivia (one of the world largest salt flats). Maybe the Cuzco to Paracas, in Peru. Never listen to anybody’s advice about motorcycles. Just go for it. You’ll figure everything out on your way. You will be surprised on how many travellers still don’t acknowledge this. Some think they do. But in reality there’s a bunch of guys just doing it for the fame or some other silly reasons. Getting out of your comfort zone and “break” your life (and yourself) to start a completely new one, it’s a big step to make. Living every day with the consciousness that this, is all you have now, is a realization that comes only when you decide to embrace this lifestyle “full time” and you decide to give yourself completely to the purpose of your journey. Basically, you have to embrace the change. Every traveller is different. Not everybody travels for the same reason and consequently not everybody is enjoying the journey as a change, but instead as a phase. I understood that the journey was more important of the destination when i came back to Sydney, my starting point, after the full loop of Australia. 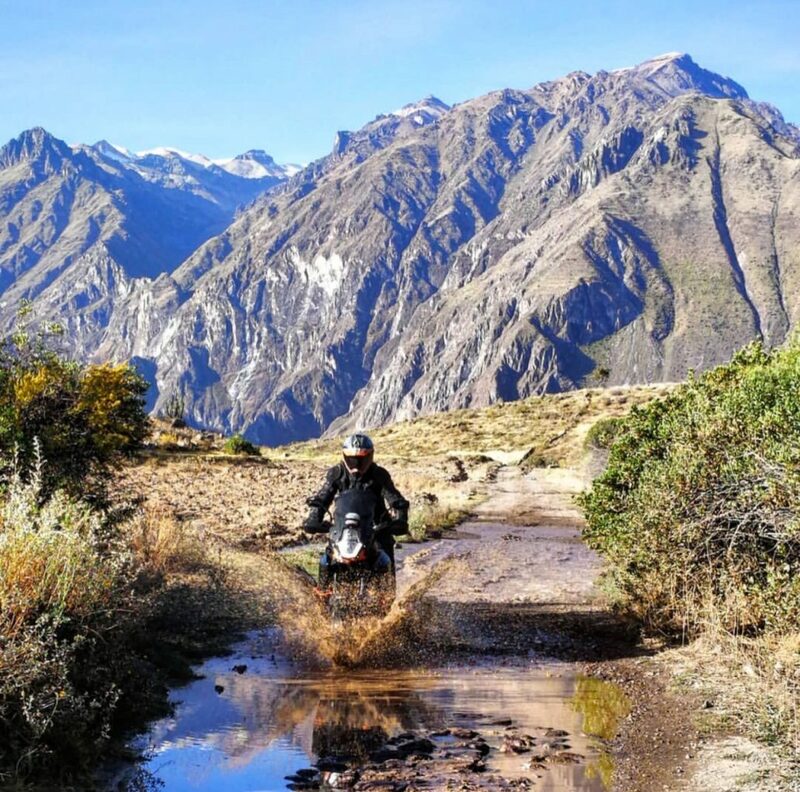 The adv rider’s community is huge and it’s a secret club that is growing every day. I got supported by group of motorcyclists all along my journey and it was beautiful to see in their eyes the satisfaction of helping a fellow rider and share few beers. I believe I carry with me a great weapon that got embedded in me by my family: respect. As far as you respect others, you will have high chances to receive the same treatment in return. 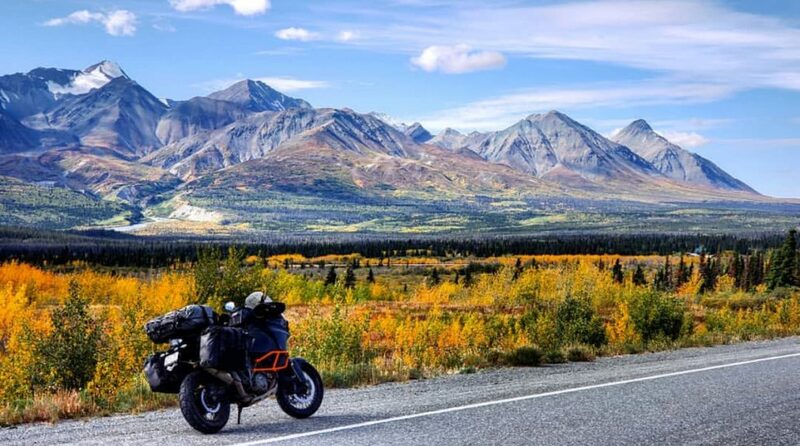 I think that this part of my life, that I’m living on a motorcycle, is somehow a consequence of different factors and decisions I took in my past, that in a way or another lead me inevitably here. I never followed the herd. Or if I did, I never really listened to what they told me to do. I took few leaps of faith in my life. So that’s why I just feel not really out of place right now. Thinking back at those defining moments of my life, yeah, it wasn’t super easy to take some sharp turns in my life, but you do become naturally more prone to get adjusted to these and less scared to embrace a new lifestyle. I’m heading toward Alaska. Then across Canada till the east coast of North America. Then I’ll ship my bike and myself to Europe and travel all the way back to Italy. The plan is to go back to Australia eventually, via Southeast Asia. I’m open to new career possibilities. If I can, I would love to continue this path of adventure riding.